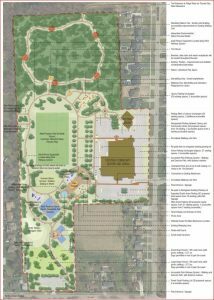 Construction of Crystal Ridge Park Master Plan (Phase I) is scheduled to begin in early June. The first phase of work will include the construction of a tennis/pickleball court, a multi-use court, a park pavilion, as well as new junior and senior playground equipment. As a result, the playground equipment and splash pad will be closed to the public for 2018. During this time, families can visit other local parks in their community. Splash pads are open June 1 to Labour Day from 10 a.m. to 8 p.m. Crystal Ridge Park was opened in 1960 and is about 9.6 hectares. With several outdated park amenities, the park was in need of renovations to ensure it meets the current needs of the community. Funding was approved to proceed with implementation of Phase I the Park Master Plan in 2017. Visit forterie.ca for more information about the park improvements. What about the Corporal Storm Playground at Waterfront Park, why is this one not listed. Hi Doug! Thanks for adding this one to our list.